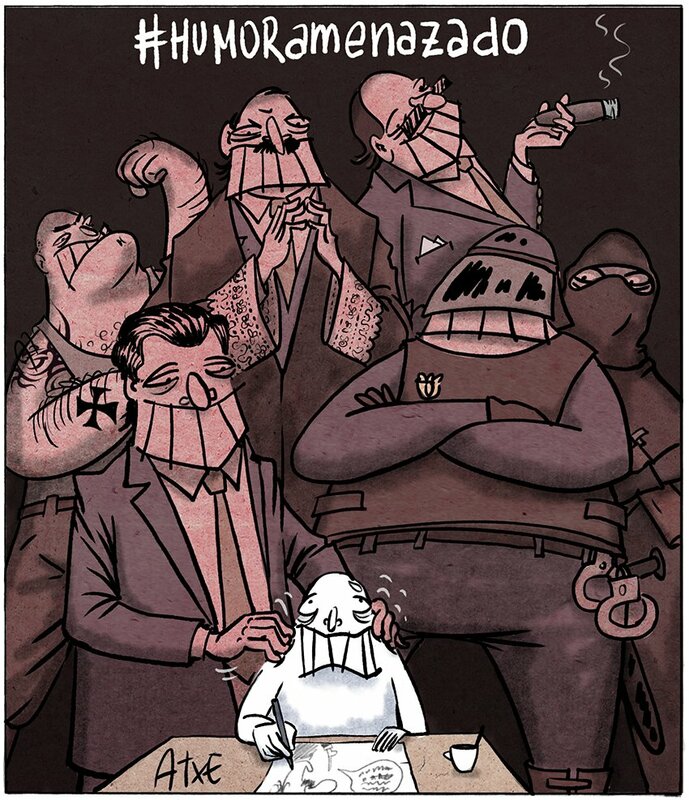 Dozens of Spanish political cartoonists have signed their names to a manifesto in defense of free speech, citing recent attempts to prosecute comedy under the country’s two-year-old ‘gag law’ as well as a recent string of cartoonists abruptly fired from their jobs. Recently, we have witnessed the unexpected firing of several cartoonists like Ferran Martín or Eneko de las Heras, adding to others also fired such as Romeu, Ventura, Farruqo, JR Mora, Altuna, Alfons López, Orué, Atxe o P8ladas, as well as others. The manifesto also mentions the case of graphic novelist Cels Piñol, who recently had a scheduled art workshop in Bulgaria cancelled by the Spanish embassy there because of his support for Catalan independence. 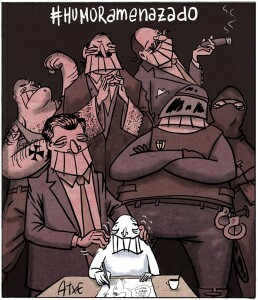 Since the 2015 passage of Spain’s gag law, officially known as the Citizen Security Protection Law, six journalists have received fines for “allegedly obstructing the police or for photographing them.” Many more have been charged or threatened with prosecution, including the satirical newspaper El Jueves which was called into court over an article joking that the continued presence of riot police in Catalonia had exhausted the region’s cocaine supply. Read the English-language manifesto with the full list of signatories at CRNI’s website.